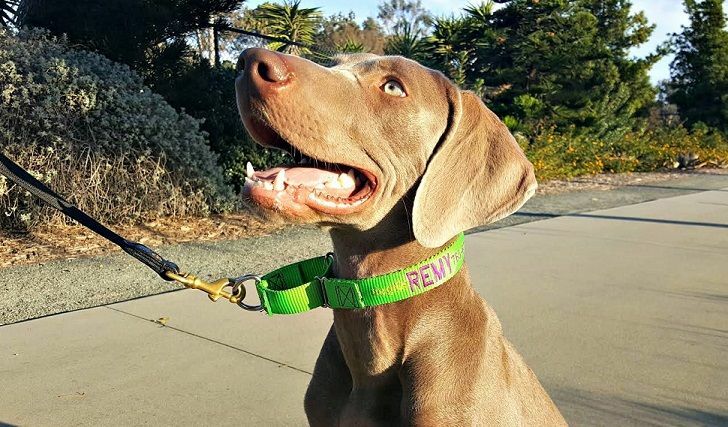 If you’ve read any of my posts about my weimaraner puppy Remy, then you know he’s a bit rambunctious and pulls on the leash HARD. Well, I told my email subscribers I’ve had a bit of a breakthrough lately with him and wanted to let you know what’s worked well for us. 1. Find a collar that makes the pulling less extreme. It truly doesn’t matter which training collar you prefer. 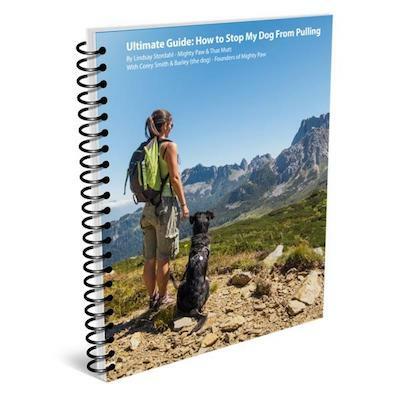 I recommend trying a few options and using the one that gives you control without hurting your dog. Remy is a hard puller and what I’ve been using lately for him is a Gentle Leader and a martingale collar. I clip the same leash to both, and that seems to keep the GL from sliding into his eyes when he pulls (somewhat). I also recommend a six-foot leash. My favorite leash by far is the dual handle leash from Mighty Paw because the material is so easy to grip. It is an affordable price, just $16 or so. 2. Use highly motivating treats! To stop your dog from pulling when you’re outside, you’ll need some extremely motivating treats. Indoors, dogs are less picky because there’s fewer distractions. Outside, I use bits of deli meat, bits of cheese, soft treats and sometimes pieces of chicken. I mix it all together in a treat pouch and add in some dry dog food. Total, I use about a cup of goodies per walk. Obviously, you might need to cut back on your dog’s meals if you do this. 3. Wear a treat pouch around your waist. At the very minimum, carry a TON of treats in your pockets. Once you start heading out for training walks, you’re going to need to carry about a cup’s worth of small treats. That probably won’t fit in your pockets easily. 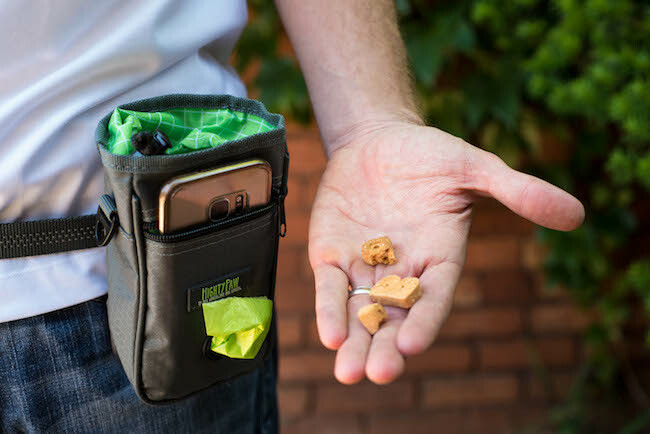 A treat pouch fits around your waist (yep, like a fanny pack!) so you have quick access to treats. I walk with Remy and give him treat-treat-treat for walking at my side. I reward him for looking at me, walking at my side and not pulling. I also use treats to lure him back when he pulls or gets ahead. I simply stop and wait for him to return to or I lure him back. I like that it opens with a hinge so it stays propped open if I’d like and also snaps shut quickly if needed. No zippers or snaps to worry about. I can fit my whole hand in the pouch so treats are easily accessible at all times. 4. Practice indoors a lot. This is what really helped Remy. We worked in the living room for five minutes a day and it really clicked for him on the third day. I used a leash at first and simply popped treats into his mouth for being at my left side or making eye contact. I walked along the wall so he had few options of where to go and lured him where I wanted him to be (my left side). I would stop and have him sit, give a treat. Then take a step forward, have him sit, give a treat. Then two steps, etc. He really caught on quickly. Practicing indoors is what made a huge difference for us because Remy seemed to finally “get” what I wanted and with no distractions it was easy for us to succeed. Practice in every room of the house, the basement, the garage, perhaps the back yard or the driveway. I like to practice in quiet, open parking lots like church parking lots on weekday mornings. Of course, outdoors is the challenging part. Our obedience instructor actually told me not to walk Remy for now if he’s going to pull. She said to stick to really boring walks up and down the driveway or in circles in the yard or perhaps down the street at quiet times. 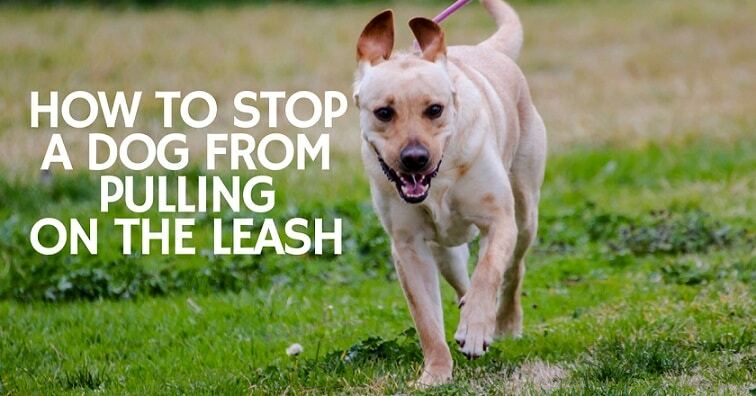 If you want to stop your dog’s pulling you need to remove his opportunity to pull. Practicing indoors makes sense until he gets the hang of it. Then move on to “boring” outdoor areas before adding more exciting outdoor areas. However, in the real world, I need to be able to walk my 8-month-old weimaraner for exercise purposes and potty breaks. I live in an apartment, so a leash is his only access to the outdoors. So … I am not perfect. Sometimes I just need to get my puppy out for a quick potty break and he pulls. This sets our training back. Sometimes I just want to be “normal” and check out from training … and he pulls. Like, really bad. This sets our training back. I’ve debated using a specific collar for our training walks and a different collar or harness for our “checked out” walks, but I haven’t been consistent. 6. Take a short break every 5 minutes during walks. 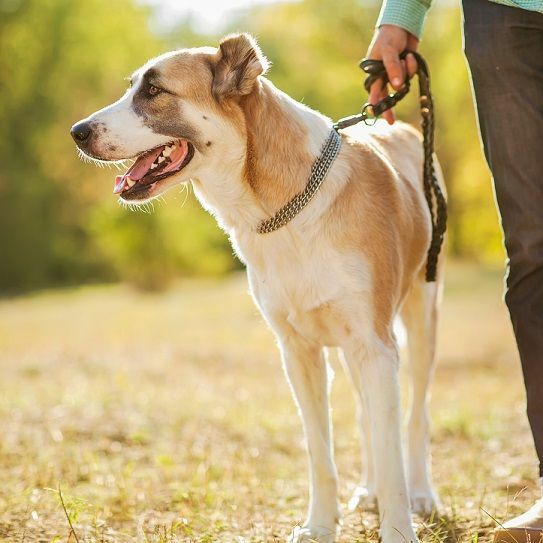 On your walks, ask your dog to heel for 5 minutes or so, and then use your release word – “Free!” or “Break!” – to let him sniff or play or walk ahead for at least 30 seconds (but stop moving if he pulls). This helps remind you to take breaks and keep this fun! So, try rotating between focused heeling for 5 minutes, quick break, heeling for 5 minutes, quick break. Walk in zig-zags or figure-8s. Turn around a lot. Work on random obedience or obstacles. Pick up the pace, jog a little, run. 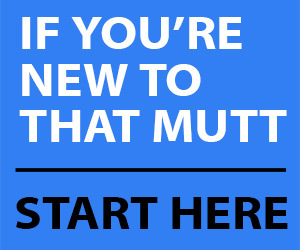 Sign up for a basic obedience class. Try different types of treats! I love reading your blog, you have a lot of helpful tips! Abby, my two year old black lab would love to try these gummies!! great article , i personally find that using a harness apposed to using a collar helps greatly with pulling as it gives you a bit more control over your dogs body and is safer on their neck. Seems to work well for a lot of people, the no-pull kind anyway. these treats look like my Spirit would love to try them. Thanks for the great article. My issue is that my two boys do pretty well individually, but regress when I walk them together. Does anyone have any advice for how to deal with that? I do! My father farmed with Percheron and Belgian work horses. He said to team them. That is, to connect them together with a short lead, such as a lanyard. Then attach the leash to the lanyard. They quickly understand that they need to work together and they calm each other at the same time. It works! PS: I’d love to try these tests for my boys. What I have trouble with is deciding exactly what I expect from my dogs. I want them to sniff and enjoy the walk and can’t expect them to do that tight show-dog heel all through the park. I like to bring treats or even most of their dinner kibble, practicing indoors is a great idea, too. For Matilda, a burst of runnies is very rewarding, so when she’s by my side, I like to praise her and dash for a few yards. I’m also working on getting the tiniest bit of eye contact before she stops to sniff and lift her leg on yet another tree – my little weirdo. I think walking is one of those things that take a lot of time, and you don’t always notice the progress right away. A few days ago, a cat crossed our path and the dogs DIDN’T freak out or pull, so we celebrating by having a fun run in the opposite direction. I struggle with that too. What do I WANT my dog to do and when? If I don’t even know, how would he know? thank you for the post. After some times, I find out that more frequent walk, like 4 times a week as opposed to 1 time a week would make him not pulling the leash anymore. I love your tip about taking breaks! I think that’s huge in getting them out of the pulling zone and focused on something else or an interesting smell. I really should have used a halti when Haley was younger. It would have saved both of us a lot of aggravation. It’s really hard for me to take breaks and just let Remy walk wherever for a few minutes but I see now that it’s really necessary for him to be successful. He is starting to understand “heel” now and that he doesn’t have to heel forever but at least a few minutes. 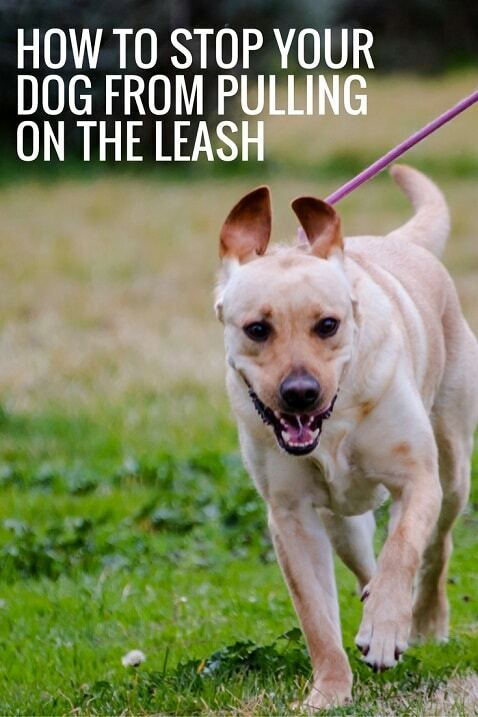 I use leash pressure with a Mendota or other working training collar. Lots of practice in a disruption- free area first. Where he wants to go, I go the opposit way. I also use body pressure & step in front of him if he is being pushy or is trying to lead me. The dog learns that he has control over being comfortable & in order to be comfortable he must follow me. My dog does great on off leash walks but ON a leash, he’s just ok. There are a lot of squirrels in my area that keep distracting him & make him want to pull & if he sees a person as much as a block away he immediately has tension on the leash. Obviously, most of the time other dogs are the worst. He normally does more whining than barking but still pulls a lot. I adopted him from a shelter so I don’t know if he’s ever really been socialized with other dogs. They told me he’s good with other dogs but that doesn’t really seem to be true. At least not consistently. I can’t take him to a dog park while he’s this way & he doesn’t have much exposure to other dogs so I’m at a catch 22. Anyone have ideas? I had a trainer check him out & watched so I know what to do, I just don’t have a calm dog to be able to practice it.